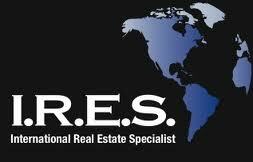 Mary Roy & Team are specially designated with the International Real Estate Specialist (I.R.E.S) designation. We are globally connected to provide additional services to our selling and buying clients. The I.R.E.S. is truly a unique concept in real estate. According to a study by the NAR (2012) Canadians were the number one country purchasing real estate in the United States, more than any other country. Global exposure is a great tool to increase traffic to your listings and achieve a higher sale price on your home. Let Mary Roy & Team show you our global reach in Real Estate and how it can help you whether you are selling locally, nationally or globally we are here to help. Global.remax.com is the first website of its kind in the real estate industry, a website that will revolutionize the way consumers search for residential and commercial properties in more than 60 countries and territories around the world. The site launched in late 2011 and attracts visitors from around the world. The new global website benefits all RE/MAX Sellers because it means more exposure for your home to consumers around the world. global.remax.com also includes a comprehensive international news feed and a convenient currency converter. Visit global.remax.com and see your home on an international scale.